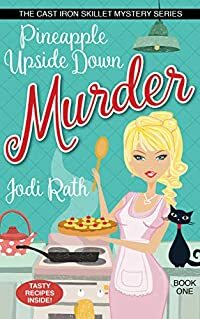 Introducing Jolie Tucker, an introverted yet passionate restaurant co-owner of Cast Iron Creations, who, at her best friend Ava’s request, steps out of her comfort zone. This leads her into the shade of a killer in the small, cozy village of Leavensport, Ohio. The victim is the village's beloved Ellie Siler who runs the village sweet spot, Chocolate Capers. Jolie finds her grandma Opal is a prime suspect and goes on a search for answers only to find out that her family's secret recipes may not belong to the Tucker family at all. Jolie’s job, family, and livelihood are all on the line. The answers are assuredly lethal.